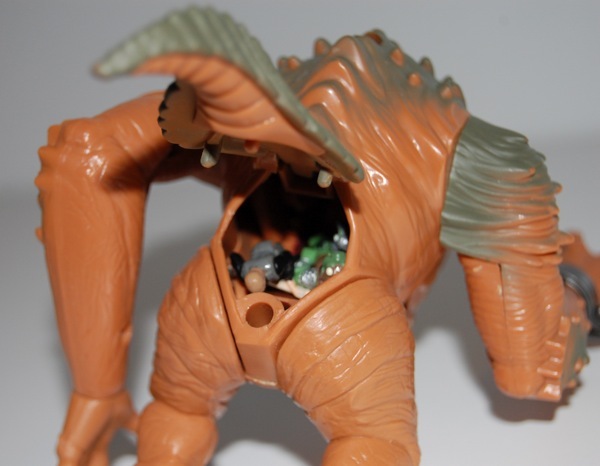 This Rancor is in scale with the other Micro Machines figures. He has an opening mouth that allows him to swallow human-sized Micro Machines figures, which can be retrieved by flipping up a sort of trap door in his tail. He comes with a stand and Luke and Gamorrean Guard figures. I don’t think that i’ve ever seen this before.